Candy store, art store, what’s the difference? Shopping for color in Copenhagen. The sky is turning citrus-orange behind the pinned stack of royal crowns (actually, the Danish Royal Parliament’s bronze spire) jutting above the tiled roofs, and the accordion player downstairs is squeezing out “Fernando’s Hideaway” for the 15th time today, but I’m basking in the glow of yet another good find- a great Danish art supply store. I’m sure I’ve walked by it more than once- it’s right across the street from my favorite fruit stand. But I only just noticed it today, adding fuel to my suspicion that Denmark is a magical city, with beautiful shops that appear and disappear at will. Same goes for its winding streets, charming cobbly town squares and perfect one-table sidewalk cafes, found one day and lost the next. I tried to lead poor, patient Antman to some newly spotted fabulous thingy, but we walked in circles, landing every time at the twisted serpents of the old Stock Exchange building. The thingy, whatever it was, it had evaporated like the Danish mist. 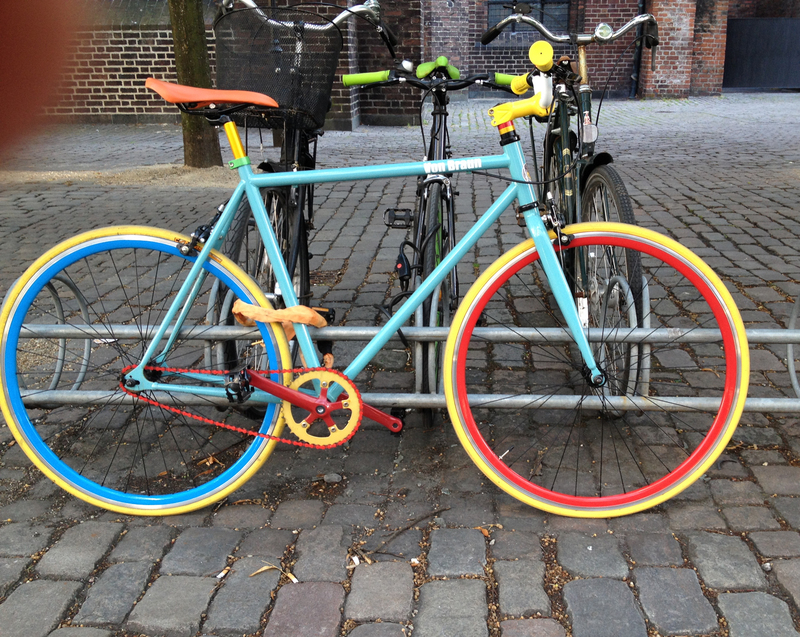 More color on the streets of Copenhagen. Not a Schwinn, but possibly some sort of spell. 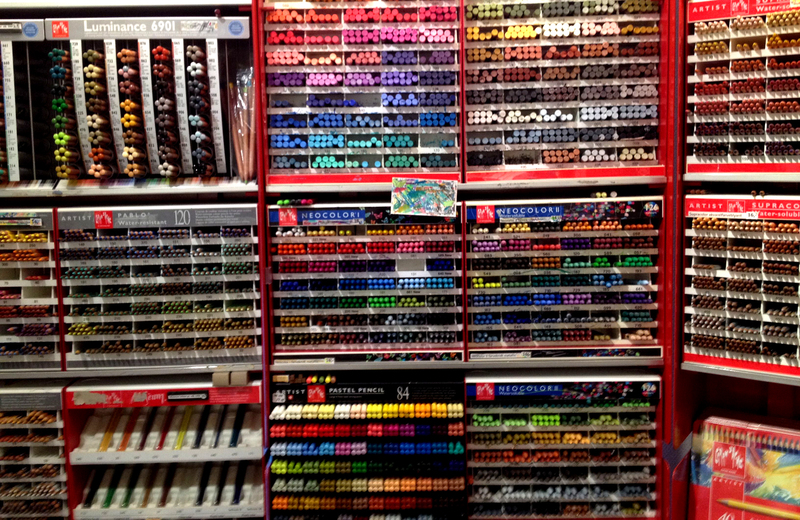 So here’s a question: would you rather have a collection of fine pastels, cool tubes of oils, nickel-plated brush washers, colored pencils, long-stemmed brushes, or….a box of chocolates? That’s a tough call when you’re addicted to both. But doesn’t an art supply store ignite a creative flame that chocolate can’t subdue? Perhaps chocolate with a Sennelier oil bar on the side could….no, wait. You could start a bonfire with that combination. Or maybe a bon-bon fire. 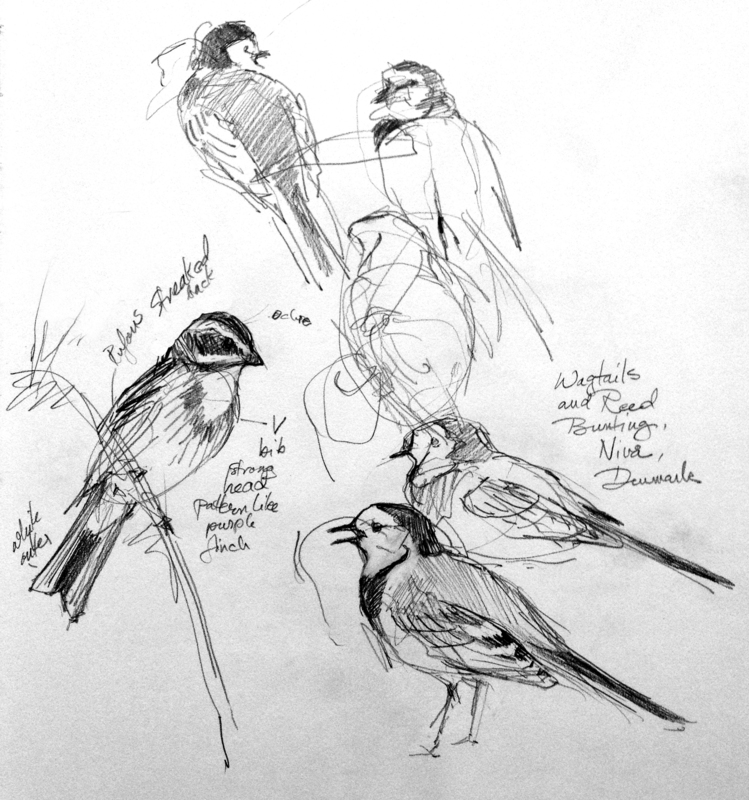 Pied wagtails and Reed bunting, I think. New bird on me. Sketched at Nivå Bugt Meadows north of Copenhagen. On the reedy, marshy side of the refuge. Mechanical pencil on Stillman & Birn Alpha Series 8 1/2″ x 11″ sketchbook. Tomorrow I’m joining a group from the Dansk Ornitologisk Forening (the Danish Ornithological Society) for more adventures in birding. This time at Køge, a stretch of coastline south of Copenhagen. Birds are moving south. The flats of Køge should catch a few good shorebirds, as did the flats of Nivå yesterday. There was magic there, and art supplies, but no chocolate. I only hope to find the way back there again, someday. Thanks so much for sharing. With your writing, it’s almost like being with you. This photo is as pleasing to me as all those snapshots of things fitting perfectly into other things on Tumblr.